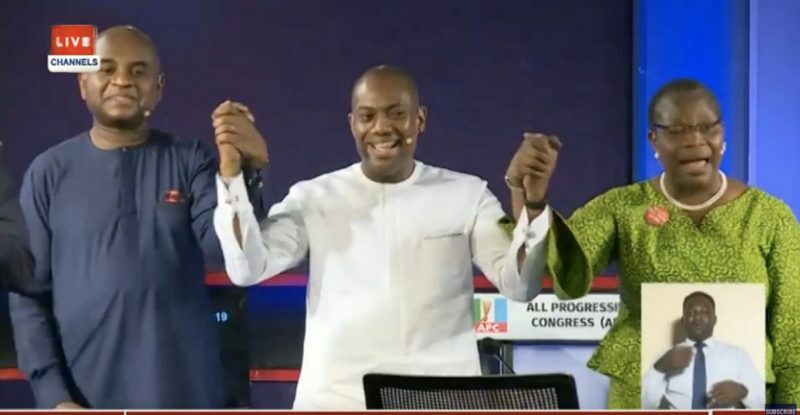 When the moderator was about to announce the PDP candidate amidst cheers, a piece of paper was hurriedly passed to him on live TV and he instead announced that for reasons beyond their control the PDP candidate wasn’t going to come on stage. Back stage, Alhaji Atiku was speaking to the press giving reasons why he boycotted the debate and simultaneously on all social media platforms, a press release which apologised to Nigerians, also challenging President Buhari to a future presidential debate even in Aso Rock filtered the airwaves and all over social media. Undoubtedly, the #2019Debate was the single most anticipated and watched political event during the campaign period. The boycott set off a firestorm on social media. Atiku’s and PDP’s supporters went to town to defend their candidate’s no-show while those of President Buhari saw it as an opportunity to run with the narrative of PDP and APC are the same. They were saved a huge embarrassment in which they would have been left with stuttering arguments on why their preferred candidate failed to even come anywhere near the venue. The dust has not settled as the temperature of the nation continues to rise and the polity continue to heat up as we approach Election Day. Suffix it to note that President Buhari’s body language had clearly indicated that he would most likely miss the debate. The preceding Wednesday to the presidential debate saw him appear on a live town hall #NGTheCandidates event hosted by Kadaria Ahmed, a well-televised and streamed event. However, his performance was lacklustre. Following that event in which he struggled to succinctly answer questions posed by the moderator – a situation where the vice president who was also on set came to his rescue times without number – most citizens had made up their minds not to expect him at the presidential debate. His campaign team had weeks and days prior to the presidential debate played down its importance and stated unequivocally that debates weren’t imperative in the scheme of things. 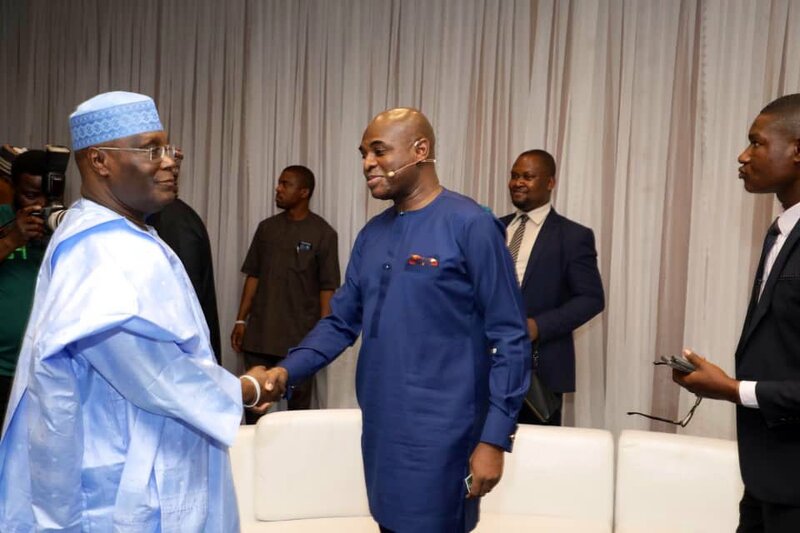 However, for Alhaji Atiku Abubakar, who had become the toast of the general public having amassed great momentum in challenging the incumbent especially in January 2019, his campaign had been favorable towards attending the debate. His handlers through press releases, newspaper articles and media parleys challenged President Buhari to appear at the debate and thus gave Nigerians hope that they will have the opportunity of the single most viewed television event during the campaign period to hear from him directly. In fact, Nigerians had their hopes high given that he flew back from his two days campaign-working visit to the United States (another big win) to prove the APC and its supporters wrong that he couldn’t travel to the United States. Nigerians desire advancement in our democracy and its processes and the presidential debate affords candidates an opportunity to connect with the citizens, pitch their ideas and plans against each other and at a time when issue-based campaign is emphasized against mudslinging, fake news and an acrimonious atmosphere, debates remain an opportunity to move towards the desired direction. From my perspective, Alhaji Atiku missed a platform to differentiate himself from the incumbent. Here was an opportunity to speak to Nigerians. An opportunity to put up a charm offensive and imbue his image on the subconscious of Nigerians as that candidate worthy of being their president given the large scale disaffection with the present administration. Here was an opportunity to impress young voters, especially first time voters who looked forward to their first presidential debate. Most of our population are under 30 and these youths yearn for a departure from kakistocracy to meritocracy. I have argued severally that the debate is a medium to speak to Nigerians but most of Atiku’s supporters view it as an opportunity to engage the incumbent. They forget that Atiku will be the president of Nigerians not that of PDP and its supporters. They argue that the three third force candidates who have attacked him more than they did to the incumbent would have pummelled him. 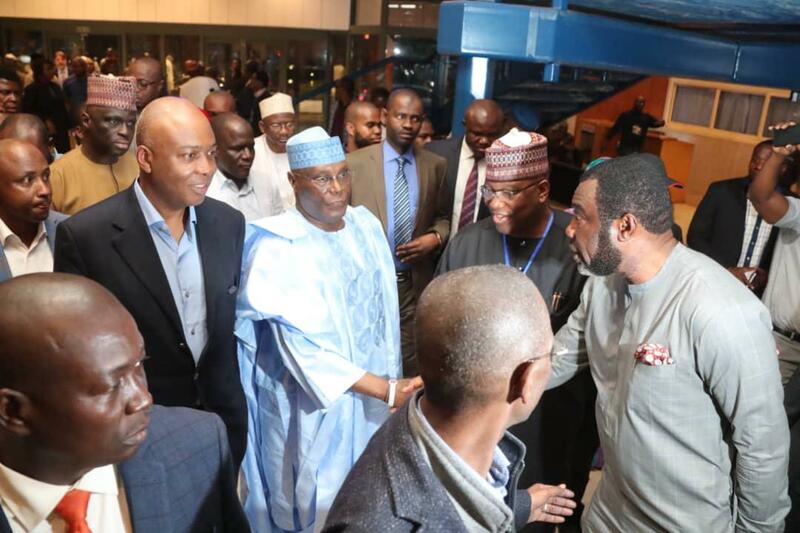 And that the other three participants, who are well known to attack their preferred candidate vehemently would see Atiku as an easy target. However, PDP and Atiku supporters fail to take into account the millions of young first time and unaligned voters who constitute the bulk of the three million votes which gave President Buhari victory in 2015. That segment has risen to well over five million and these are the main targets of any effective campaign at this point. If election is held today, PDP supporters will vote Atiku and APC supporters will vote Buhari but there are Nigerians who don’t belong to any party or support any candidate given the realities of the past four years where the incumbent has failed to meet expectations and there are also strong scepticism of Alhaji Atiku, the candidate of the main opposition party. Instead of revelling in the victory and braggadocio of a resilient Atiku’s appearance at the presidential debate as an added advantage over President Buhari and his supporters, PDP supporters are now explaining why Atiku didn’t show up. The disappointment is all over social media with many voicing their disenchantment. More so, PDP supporters are wondering why Nigerians are harder on Atiku than they are on Buhari and the reason is simple. Nigerians are hard on Alhaji Atiku because they have begun to put their hopes on him, they have begun to see him as the succour they need from the ruling party and President Buhari who have failed to meet their expectations but as humans, they expect the void in their hearts and aspirations to be substantially filled by Alhaji Atiku. One of the important means of giving them that assurance is appealing to them through rare mediums like the presidential debate. What Atiku missed was an opportunity to be that mental image of who should be the preferred candidate between the two top contenders. That was a golden opportunity missed.